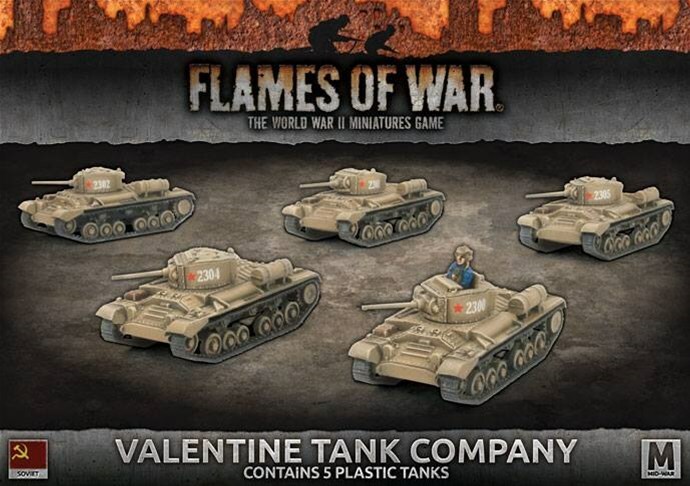 Tin Robot Games has announced their new strategy board game Tanks, but no Thanks. Be a tank commander and lead your armored behemoths to battle. Just watch out or your opponent might swoop in and attack your bases while you're out. The game will be coming to Kickstarter soon. Some of you out there are really good at throwing the colored goop around and making your miniatures into real works of art. So you don't have to worry about me as any sort of competition in the Brush with Death painting contest that Mantic just launched. The new edition of Cosmic Encounters will soon be making its way to tabletops. Many of you have played the game, but many others haven't, and can use this new version as a jumping-on point to try out a real classic of the board game genre. To help players get started quickly, they've posted up a nice quick-start rules guide (in comic form) for you. Here we've got our next preview for Season 4 of Guild Ball, with a look at some models that are going to be getting a bit of a tweak and rebalance. The other previews were nice, but since I don't play Union or Engineers, they weren't all that exciting to me. I do, however, play the Masons. So showing off a new version of Granite is something that interests me. Let's take a look. Why is it that the weeks leading up to a long weekend are, themselves, the longest damn weeks ever in existence? I swear, it should've been Friday about 3 days ago. I guess it's just all that anticipation of having an extra day to go out and do some gaming. And to everyone already downtown in the heat... well... have fun down there. I'm going to remain OTP, myself. But I'm still going to munch on some bite-sized gaming stories. Today on the platter we have: Dice Coins: 2018 2nd Release Up On Kickstarter, Punga Miniatures Announces Canitaurs & Felitaurs Kickstarter, Kraken Dice Labor Day Sale Happening Now, and Brigade Models Releases Flaming Sword of the Holy Brotherhood for Hammer's Slammers. Ah, the eternal question: What's for dinner? I would assume you think about that at least once per day. More if you're hungry. Lots more if you're out grocery shopping. But now you can think it around the gaming table. 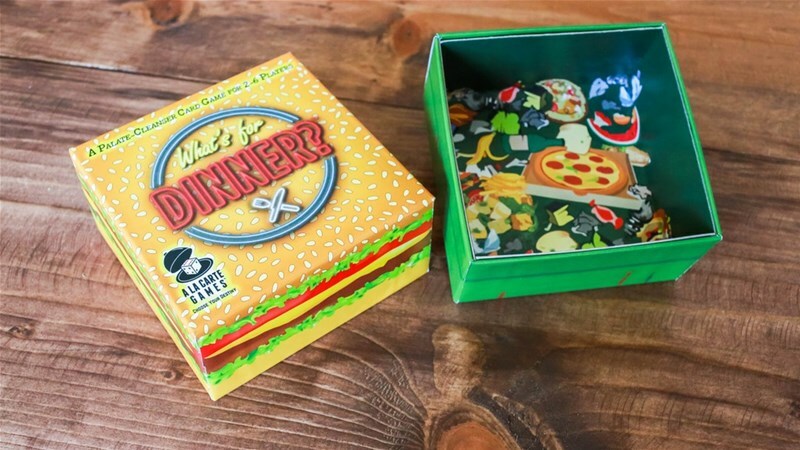 A La Carte Games is running a Kickstarter for their What's for Dinner? card game. Will you end up eating what you want? 80s music taught us that. But actually getting to ruling the world's not so easy. You've got to set up your hidden base. You've got to hire henchmen. You've got to come up with your plan for world conquest. There's a lot going on. 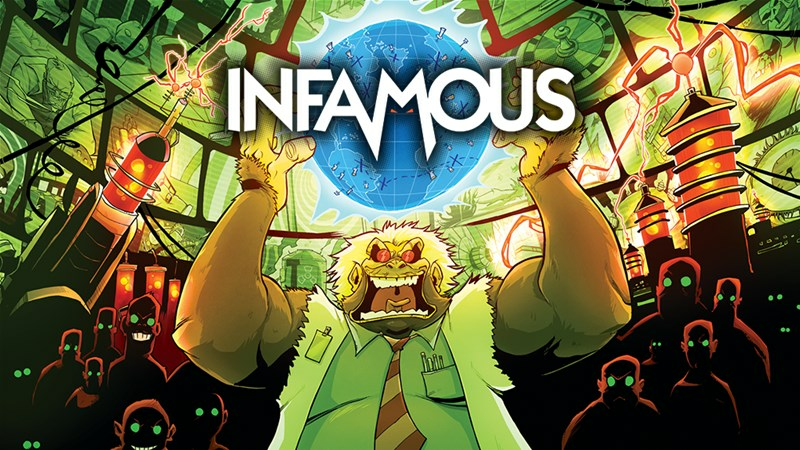 And that's what you'll be doing in Infamous, a new card game from Eagle-Gryphon Games that's up on Kickstarter now. If mankind wants to colonize distant worlds, it's going to take time. In lieu of some sort of hypersleep technology, there's going to be generations of people between those that left the Earth and those that arrive at the new destination. Gen7 puts you in the shoes of a group of people who only know of the Earth through history books, and will never make it to the new planet to colonize. Plaid Hat Games has posted up a new preview, talking about what that mindset must be like. Money, money, money, money, moooooooooney! That's what it's all about in Star Trek: Galactic Enterprises. Take on the role of a trader on Deep Space 9 and make sure that you get the best deals for your trades. Just remember to follow the Rules of Acquisition. The game is available now. One thing about having a digital app for your game is that you can add to it pretty easily. In this instance, it's a new scenario for Mansions of Madness from Fantasy Flight. Altered Fates sends investigators to merry old England in order to safeguard a precious family heirloom. Too bad by the time you get there, it's already gone. In war, it's not just the actions of troops out on the battlefield that matter. There's a whole network of reserve units and supplies that must also be taken into account. 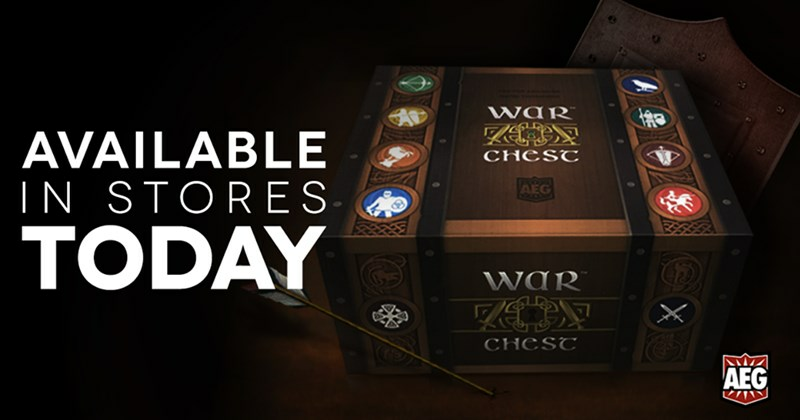 In War Chest from AEG, players must manage their hand of Unit Coins, playing them at the right time in order to place their Control Markers. The first one to place all 3 is the winner. You can pick up your copy now. Paizo's website went through a rather rough patch for a while there. It seems as though the gnomes and sprites that keep all the 1s and 0s in order went on an extended holiday. Thankfully, they're back, and with them there's a new update for the Pathfinder playtest, including the next part of the ongoing adventure for you to try. Why is it that weeks before a long weekend are always, themselves, the longest week possible? I swear it should've been Friday by now. But nope, still only Thursday. Though I know a lot of my friends that are taking tomorrow off to go downtown for Dragon*Con. I'm not. I'll still be right here. I'm also here to bring you today's Terrain Corner. 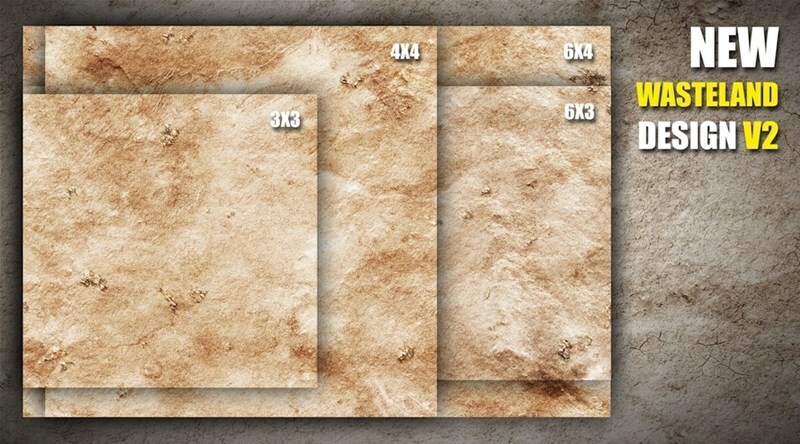 We have: Deep-Cut Studio Releases New Version of Wasteland Mat, Secret Weapon Miniatures Anniversary Sale Happening Now, and War Sands Gaming Mat Available From Pwork Wargame. Who you gonna call? The Ghostbusters, of course! A whole undead host of spectral monstrosities is descending upon the city and there's only one group of heroes to stop it. Renegade Game Studios has announced that they'll be coming out with a new card game based on the popular Ghostbusters universe. Battlefront is keeping up the excitement since their Live Launch of Iron Cross and Enemy at the Gates last week. This week, they've got another set of releases available over in their webshop. Head on over now and pick up some new tanks and artillery to flood the fields of Eastern Europe. Fantasy Flight caused quite a stir with the announcement of KeyForge, their unique card game where every deck in existence will be different from all the others. Players at Gen Con had a chance to check it out, but what about the rest of us? In this preview, we get a look at how the game actually works, so you can check it out for yourself. In an RPG, it's all about relationships. You're a group of adventurers and it's the relationships that you have with one-another and the various NPCs that drive the story along. 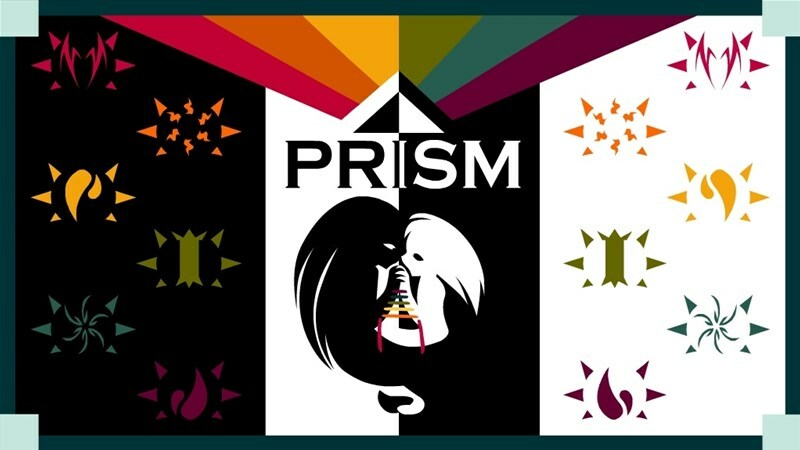 In Prism, the relationships that you have are the core focus of the game, whether platonic or romantic. Players come from one of the six different races on the planet, and it's their interactions that will show whether their different gods are happy with how they're going about things. The game is up on Kickstarter now. Adventurers tend to group together. It's just sort of a natural occurrence. When doing so, they might even form guilds. This can allow them to get better resources, attract better contracts, and have a nice home base to come and rest at when not out on an adventure. 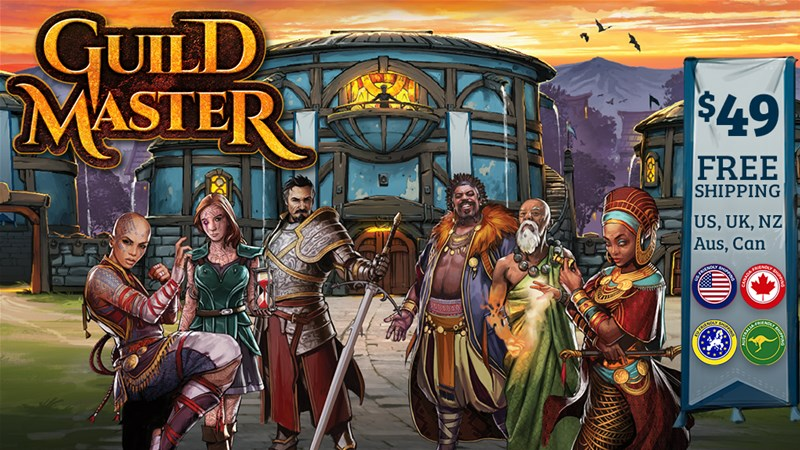 In Guild Master, players are in charge of their own guild of adventurers. Of course, there's only so many adventurers and contracts to go around, so each one of you is trying to make your guild the best in order to attract the best talent and work. The game is up on Kickstarter now. The damsel in distress is a trope basically as old as storytelling. But what about when that damsel decides, "the hell with it" and just decides to rescue herself? That's where you are in Maiden's Quest. A princess is not content to just have some dumb prince come get her, she's getting herself out, now. The game is now available from WizKids. I'm always looking for new and interesting miniatures to add to my collection. I have to say, the Trash Panda mini that 02Media is showing off that they'll be releasing in October has me intrigued. It's part of their agreement to create figures for the WatchGuard universe, and the figures will come with stat cards to use them in Super Mission Force. Wednesday. ... This is always the day of the week that seems to take forever to go by for me. But, after it ends, there's the nice, downward slide into the weekend. I know I could use a pick-me-up in the form of some bite-sized gaming stories. Today on the platter we have: Turbo Dork Releases New Line of Miniatures Paints, Kraken Dice Pearl Dice Sale Happening Now, Elven Lords Fantasy Miniatures Up On Kickstarter, and The Fourth Place Releases Game Night Ready Kits For Tabletop Games. Making games isn't easy. There's a ton of moving parts to make sure fit just right, and it takes a dedicated publisher to make sure it all goes smoothly. 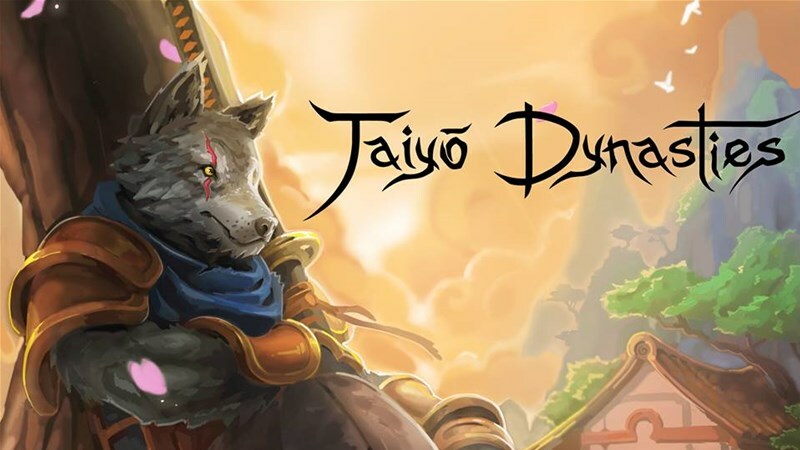 Ulfsark Games is currently looking for a publisher for their Taiyo Dynasties game. They've got it all just about ready to go. They're just looking for someone to help make sure everything goes smoothly. Some figures in Season 4 are going to be changing a lot. Some are going to be changing a little. Some might stay the same. Every player out there is wondering who will change and how those changes will look on the pitch. 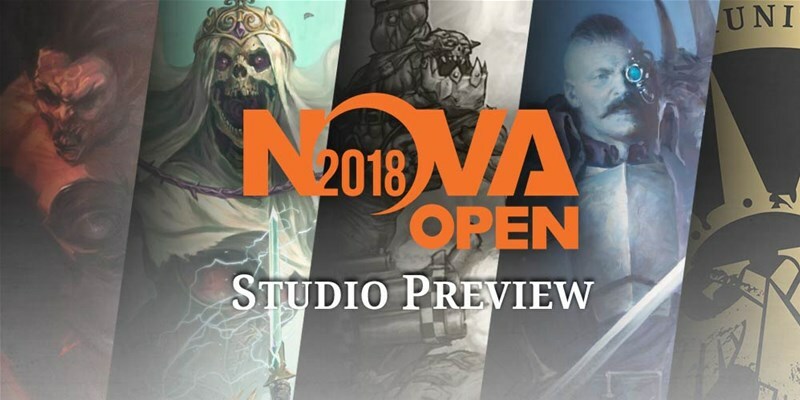 In this Guild Ball Season 4 preview, we get a look at Salvo.